Definition of lower motor neuron. motor neuron that extends from the spinal cord or brainstem to skeletal muscle. Lower motor neurons are responsible for all voluntary movement. 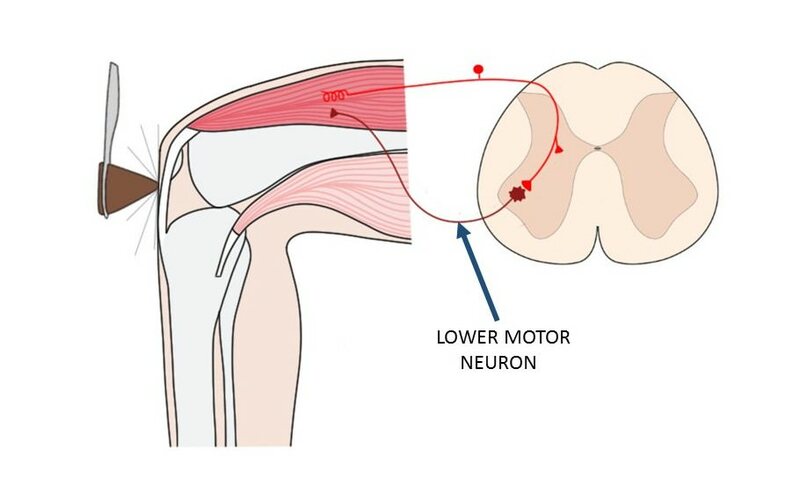 Types of lower motor neurons include alpha motor neurons, beta motor neurons, and gamma motor neurons. Watch this 2-Minute Neuroscience video to learn about the role lower motor neurons play in the knee-jerk reflex.